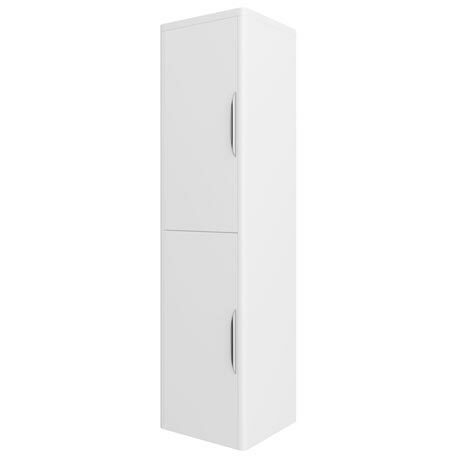 The High Gloss White Wall Mounted Tall Cupboard, make the most of your bathroom with our modern and practical furniture options. Compliments the Monza range of bathroom furniture. Q. Can you hang the doors to open left to right? Hi Sam, yes, the doors of the Monza Wall Mounted Cupboard are reversible, so you can hang them to open left to right. Hope this helps!